Some of the best releases from January for the last full month of winter. As the Ibiza 2019 season continues to take form, here are some new releases to get you dreaming. 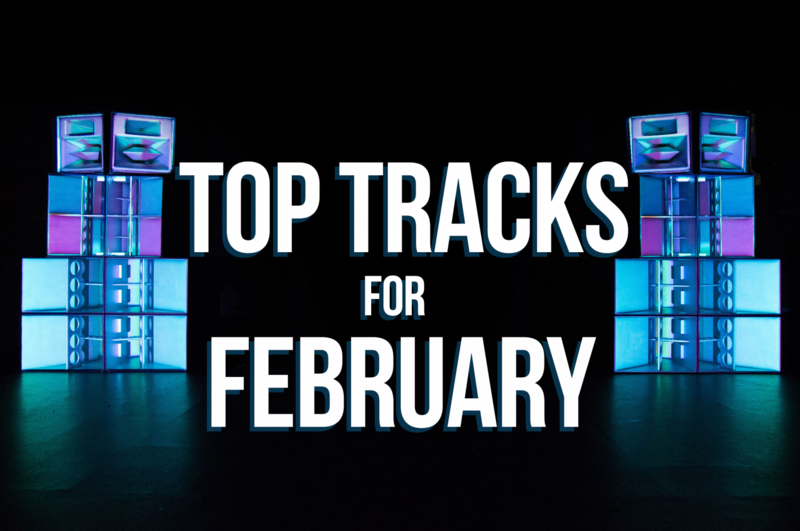 From thumping techno to dreamy progressive house, some of these tunes we have been waiting for since last summer while others may very well end up on the dance floors this time around. Whatever the case, here are some of the finest gems released last month to get you through this final full month of winter in the northern hemisphere. Russian DJ and producer Amonita takes dreamy to another level with her aptly named Magic Journey. The track builds up to profound delight with its ethereal pads, tinkling melodies, and soaring strings along the engaging bassline. Climbing the Beatport charts, the tune is part of All Day I Dream latest album Winter Sampler. Taking it up a notch - or ten - here's one of two interpretations of Adam Beyer's timeless piece Teach Me to celebrate Drumcode's 200th release. Proof of her meteoric rise of the past couple of years, one of Belgium's finest exports and a regular of Drumcode showcases Amelie Lens pumps new energy into the deep, Detroit-influenced cut by label boss Adam Beyer. Fans have been waiting for this one since last summer here on Ibiza. It's easy to see or better hear why. One year after their debut on Diynamic, Ukranian duo Artur and Batish, better known as ARTBAT return for round two Upperground EP. With its melodic overtones, this thumping techno tune is as captivating as can be. Âme and Dixon's Innervisions brings us the 11th Secret Weapons compilation. The 14-track collection delivers plenty of evocative moments for both late-night and after-hour action, concluding with a remix of Kastell by label boss Dixon himself. Enough said. Berlin veteran Eva B brings out her housier side for her latest EP BElight vinyl-only release. On the B-Side, the uptempo Pills fuses a wonky but meticulous drum pattern, jungle breakbeats, deep pads and synth lines as well as a captivating cheeky voice sample, for a nod of nostalgia to raves of the past. Established Swiss producer Mendo and fast-rising Brazilian duo Fancy Inc debut on ABODE with Who You Are. With anthem potential all over it, the tune takes tech-house beats, a catchy vocal sample, hypnotic basslines and even some old school diva wails to create a dance floor filler. Following Toolroom's announcement of a full season on Ibiza next summer, this one is all the more exciting. With loads of energy and the sassy attitude of diva vocalist Loleatta Holloway, Scottish duo Illyus & Barrientos drives Shout into peak-time banger territory, ticking all the boxes for a tech-house anthem. Here's another tech-house bomb. Infused with ethnic madness, the tune reimagines Prem De, the work of Bengali artist Arzeen, on the world-influenced label Pinkturban. Emerging talent and award-winning South African DJ and producer Das Kapital adds a bold bassline and zany rhythms to the harmonious vocals. Uniting underground dance with Bangladeshi music, the result is darker yet no less evocative. Fresh talent Wheats makes his debut on Saved with EP Strong Feelings. Having caught the attention of industry leaders, this new artist brings hooky vocal samples and hefty drums to a commanding bassline all rising to massive heights. With a raw approach to the current techno scene, Ellen Allien pumps fresh energy into her brand new imprint UFO Inc. A staple of her sets last summer, monster title track UFO travels from downplayed belter to unforeseen levels of otherworldly space travel. With unexpected developments and acid hints, it plays with delay and release, blending Berlin techno with Allien's signature effervescence. Following 2018 house belter Somebody New, Solotoko label boss Sonny Fodera teams up with Biscits for this release. With its catchy beat, mesmeric vocal samples and thrilling breakdowns, the explosive title track Insane blends dark and sensual energy into a relentless groove. Out of her forthcoming LP Life of Leaf, the second single Rain by Francesca Lombardo. The DJ and producer's classical background comes to life through the ascending strings and driving bass that shines the light on her vocal finesse, blurring the line between live performance and club culture. The outcome brings about a refined and passionate piece.